“Kak, can we read books now?” asked the three bright-eyed children. Yayasan Pendar Pagi’s Kalianyar community center houses several collections of books provided by donors. The colourful books invite children take a peek and look through their pages. Seeing this happen again and again, we realize how attractive, quality books are needed by neighbourhood children. Ironically, the children we serve live in a large city but have difficulty accessing quality books. The main reason for this is lack of awareness of the importance of reading. For parents, education is going to school or extra lessons and getting good marks. Often food and school supplies are felt to be more important than reading. This is understandable, especially for low income parents. Yet sometimes television and online games also contribute to the declining interest in reading. YPP’s vision is for healthy, flourishing communities, and this calls for people who are creative and well informed. What better to set children on the right path than exploring pages of brightly coloured books filled with knowledge, rich in inspiration? Beyond all expectations, friends of YPP contributed large quantities of books in good condition, which had once belonged to their own children. Happily we were able to announce to the local kids that they would soon have their own library. Now, twice a week the children can feast on good quality books provided by these generous donors, in an open area on Mondays and inside on Tuesdays. One day a young mother came by, spoon feeding her two-year old daughter. Attracted by the bustle inside, she brought the child in and began reading parenting and recipe books. Soon she was followed by her husband, a newspaper seller, who read with great interest a book we gave him about entrepreneurship. In the meantime, their daughter ran back and forth to his mother for spoonfuls of food while looking with fascination at several books. The food disappeared quickly that day, said his mother! Two simple but encouraging stories. 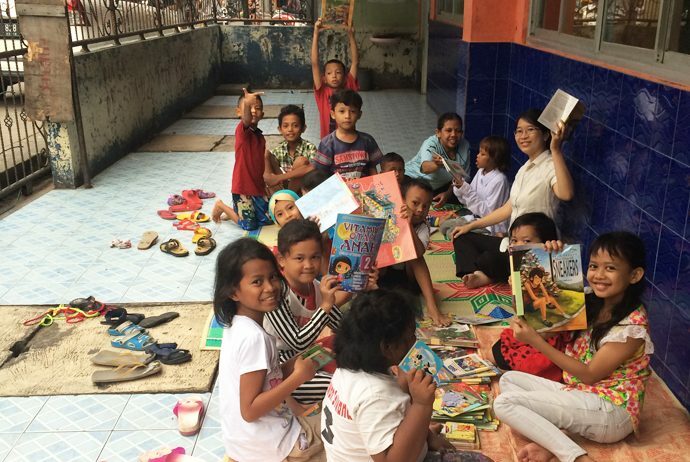 We hope that more and more Indonesian children and families realize how their world can be enriched with access to quality books – and that they pass on these riches all the way to their grandchildren. 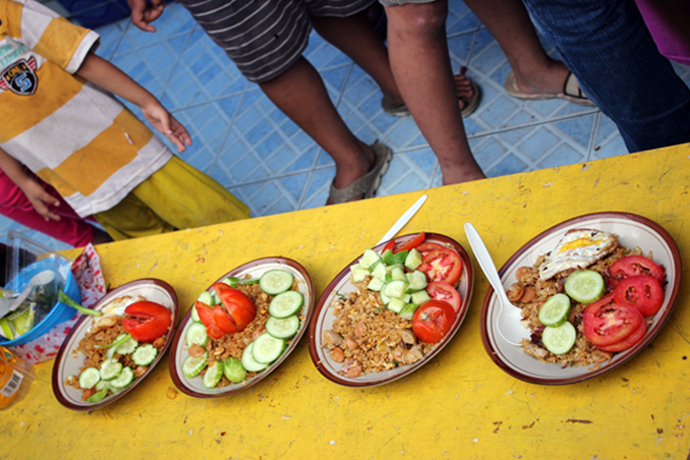 The world was a blurry place to some 150 children in Kalianyar, who couldn’t see clearly without the help of glasses. 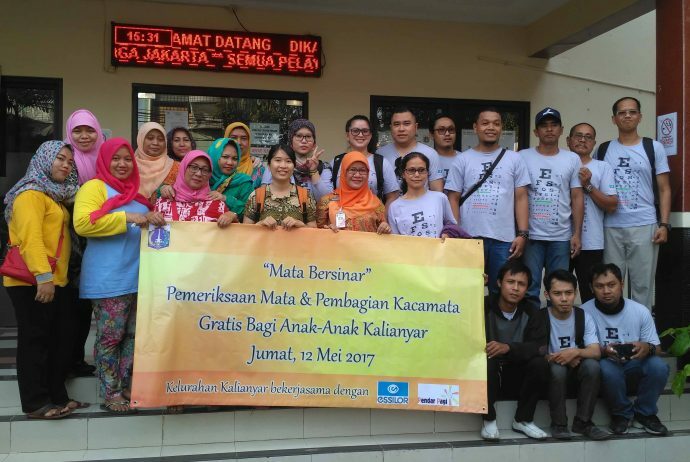 Recognizing the problem, Yayasan Pengar Pagi partnered with the subdistrict of Kalianyar and the Essilor Group to host “Shining Eyes,” a community service for the children of this West Jakarta area. Eye examinations were performed for 230 children, and 158 received free eyeglasses. “Ya, when this kid watches TV she’s always so close,” said one of the mothers who accompanied her child to the eye exams. “Has she ever worn glasses?” asked a YPP team member. “Not yet. Recently we had some money, but we used it for a bag and shoes, so we thought we’d buy glasses later. Hey, now this program comes along – what a help!” The child, whose name is Sina, had an eye exam that revealed a rating of minus-4. 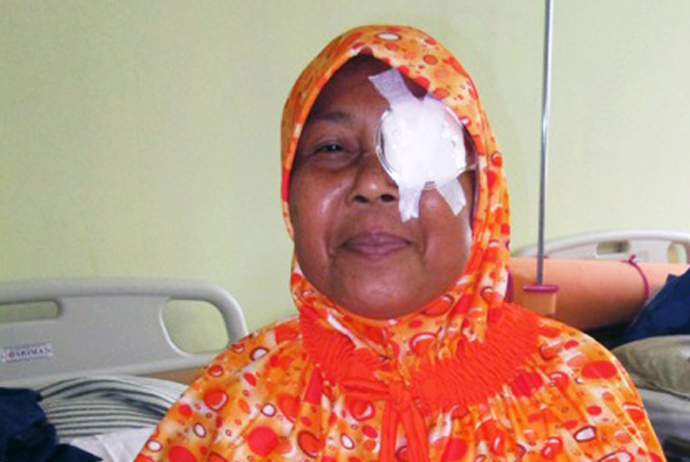 Another five-year-old has needed eye correction since birth. “When he was born,” said the Essilor technician who checked his eyes, “he had more red blood cells than white, and that’s affected his eyesight.” Several children complained of difficulty reading, which affected their grades. The felt much helped by the provision of new eyeglasses. 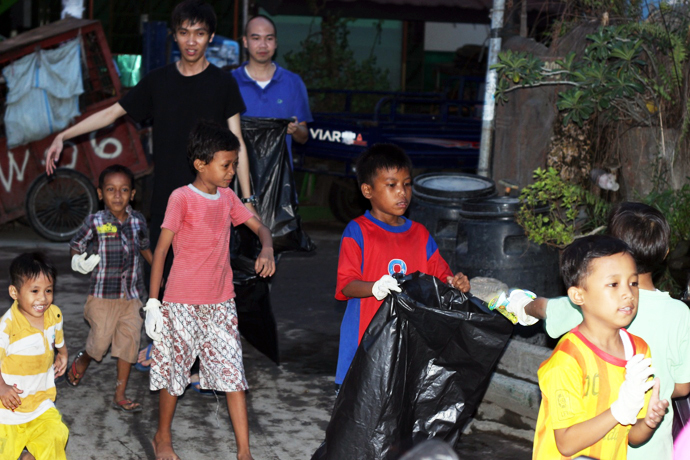 We trust the world will no longer be a blur for these children in Kalianyar. As they enjoy improved vision, we are convinced they are a step closer to a brighter future. A hubub of voices accompanied by jingling coins; dust and exhaust; the lingering aroma each time a motorcycle passes, following the screech of rails. “Train, train! Stop!” Residents by the railway track shout at motorcyclists wanting to cross. This is the railway’s edge near Duri Station, Kalianyar, where a handful of families find the food, clothing and shelter they need to live. Asep Gunawan works for a cottage clothing manufacturer in Kalianyar, and on the side sorts organic and non-organic waste near the railway tracks. The 23-year-old is a member of the savings group started by the YPP community centre in Kalianyar and now managed by a local leader named Pak Ujang. “I don’t have a bank account, but I plan to (because my savings keep growing). I used to just stash my money at home. But I started to save once we had the savings group, so I don’t use it for non-necessities. 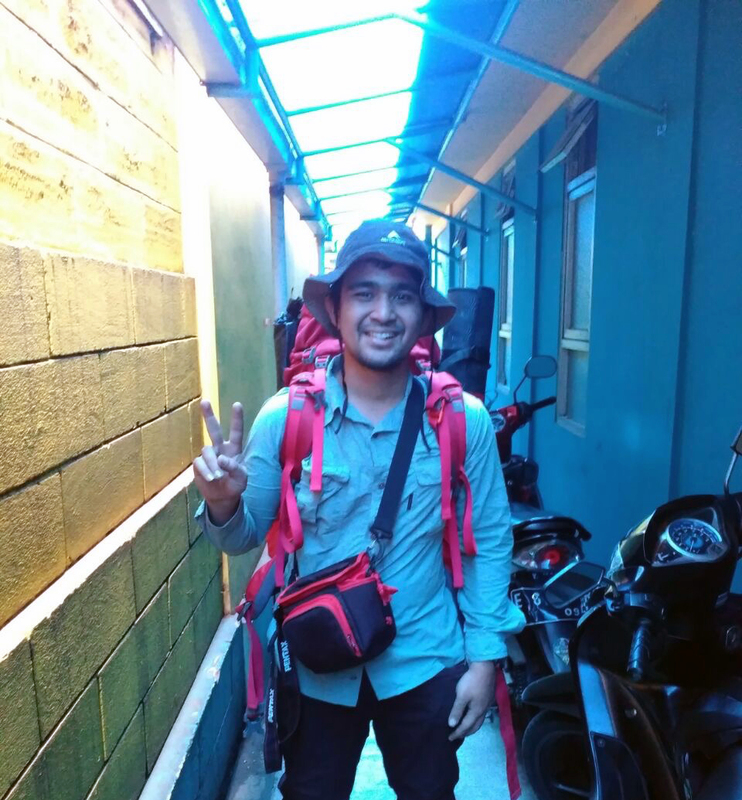 If I keep it at home, I can’t resist spending it,” Asep explains while sitting in a warung food stall at the edge of the tracks. “I plan to use my savings for needs in the fasting month. It’s also good to be prepared for sickness,” he adds, hurrying off to work. Asep works from 8 am through 9 at night, every day. One of the benefits of the railway savings group is that it promotes sound money management. Not all those who live by the tracks have become members; but Asep sees the benefit of the savings group not only as a means to save. He intends to open his own bank account once his balance grows larger. Asep saves regularly, and it’s not surprising that he has the highest savings in the group. This is our hope, not only for Asep, but for all who live by the railway tracks of Kalianyar. I officially became a member of the English Zone in February 2010. When I became an EZ member there were many English skills I still needed to improve. 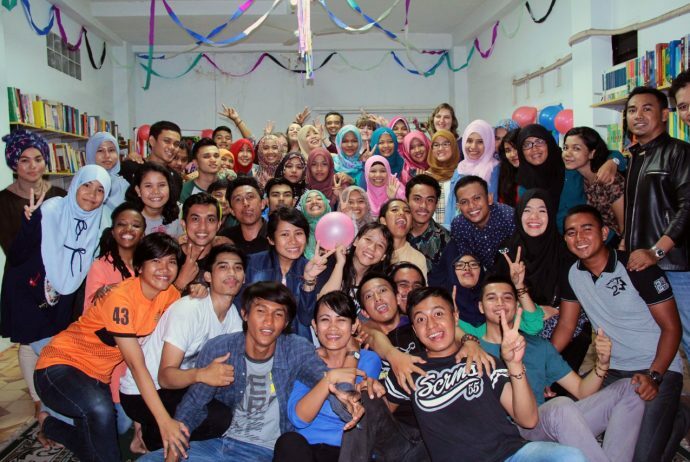 At the EZ I met with many young people from Indonesia and from other countries who loved to talk, and new friends who wanted to develop their English languge abilities. In the English Zone I meet many new people, have many close friends, and attend special events every month. Long story short, in this group we have evolved into friends, students, and siblings. I cannot say how much the EZ has shaped me into the person I am now, I am so grateful. It is a base camp where people with the motivation to learn English can gather. Being able to speak English makes us stand out, in college, in seminars, in competitions, even in the workplace. Other opportunities surface when we have this skill. By speaking English we are able to access and understand information more quickly, communicate globally, and make friends. Many members have been able to travel to other countries because they enjoy speaking English and are able to do so well. Personally, I was fortunate to be able to speak in English while I was in university. I could understand English books, I succeeded in campus competitions because of my English presentations, and I got an internship at one of the largest energy companies in the world. The benefit that now makes me so grateful that I came to the English Zone was when I graduated from college and began looking for a job. Since my goal was to find a job in a multinational company, I applied to several. Being able to speak English in interviews was a great benefit, because it was a requirement for these positions. I passed screening interviews from two multinational companies and was able to move forward to the next selection process. EZ is my second home, and it will always be home for me. 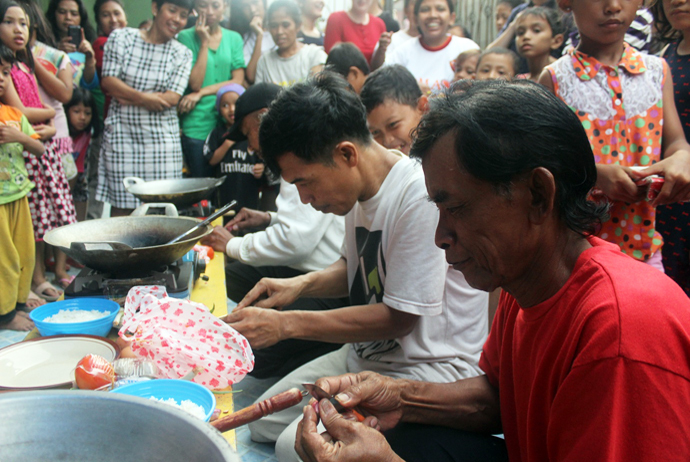 Kalianyar Community Day is an annual event involving the wider Kalianyar community. On the afternoon of Sunday, 29 November 2105, YPP brought a focus on education assisted by some 20 volunteers, both from within and outside Kalianyar. Activities included colouring competitions in two categories; “keen observation” for grades 4-6; an educational campaign; garbage pickup involving local children; and, to close out the festivities, a men’s cooking competition. Teluk Kanidai is a village located on the outskirts of the city of Pekanbaru, in the Kampar District. In this community live dozens of children and teenagers who don’t understand the importance of education, or have the motivation to learn. In the past, members of this community were not interested in education because they did not believe it could actually improve their lives. Sometimes parents even forbade their children from going to school. They believed it was better to work and to make money immediately than to go to school. In their experience, life only changed with hard work as laborers or plantation workers. Many families in this area still hold to this idea. But things are beginning to change. For example, one child has a dream of becoming a police officer. He is incredibly motivated and passionate about learning. Every time we come to the village he runs to the teachers in excitement, asking “Are we learning today, Ma’am?” His mother supports him, too. She sits and waits for him to finish class and sometimes she even helps us. After attending several sessions put on by YPP about motivating one’s children to study, parents in this village are more enthusiastic to send their children to school. YPP hopes to help these families further their understanding about education. Right now many are already showing more interest in their childrens’ education. They know that their children are the leaders of tomorrow and have the ability to move Teluk Kanidai towards a better future.